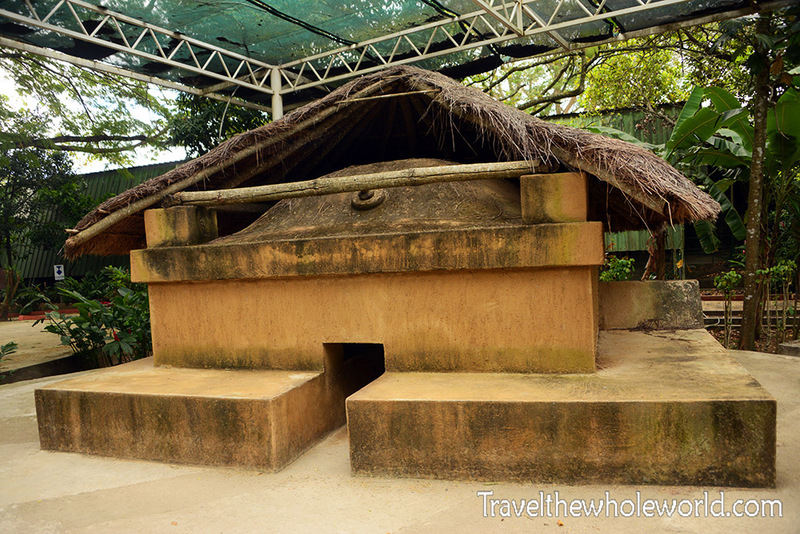 After Cerro Verde, my favorite place to visit in El Salvador was Joya de Ceren. 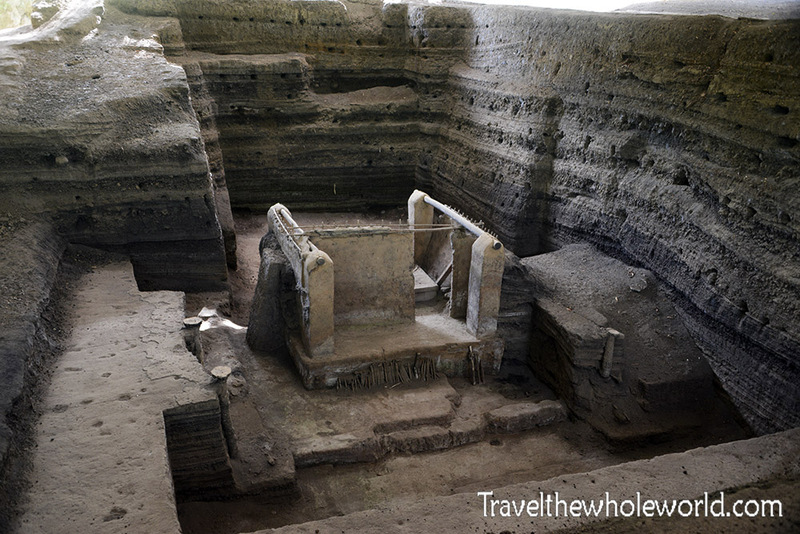 Often called the Pompeii of Central America, Joya de Ceren is an ancient Mayan village buried by a volcanic eruption. It wasn’t discovered until by accident in the 1976. During a construction project, a bulldozer was excavating soft soil when it suddenly struck a solid object. They immediately realized the importance of their find and brought in archaeologists. The photo above was taken at the time of their discovery in 1976. 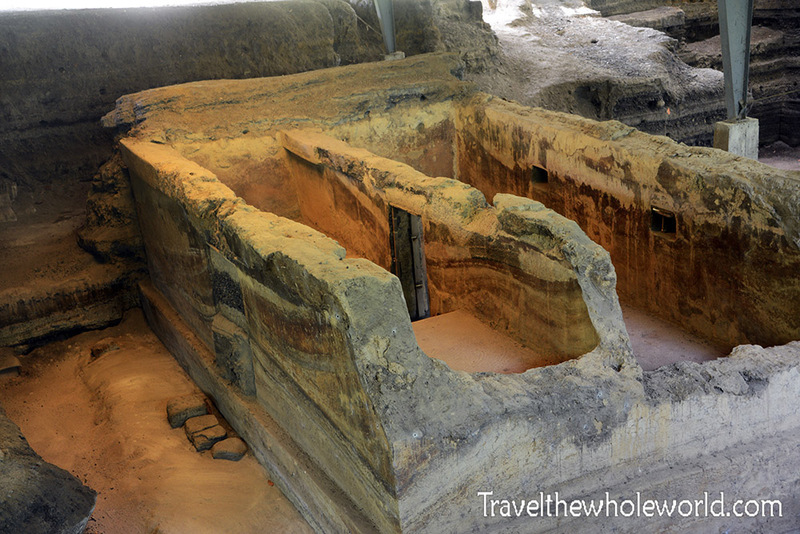 These photos above and below show some of the structures that were unearthed. The village was of significant size. At least 70 buildings were uncovered that included homes, workshops and religious structures. 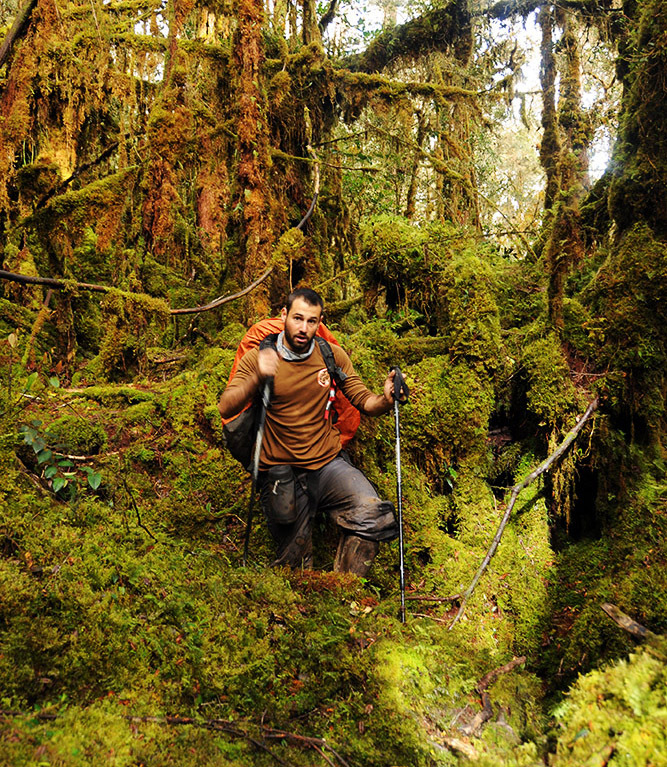 The eruption of Joya de Ceren was believed to have happened 590AD, rough 1,400 years ago! The village was quickly covered by lava from the nearby Loma caldera. Of course the temperatures of the lava would kill anything on contact, the lava was relatively cool by the time it reached Joya de Ceren. As a result, it mostly engulfed the village and preserved it instead of completely destroying everything. 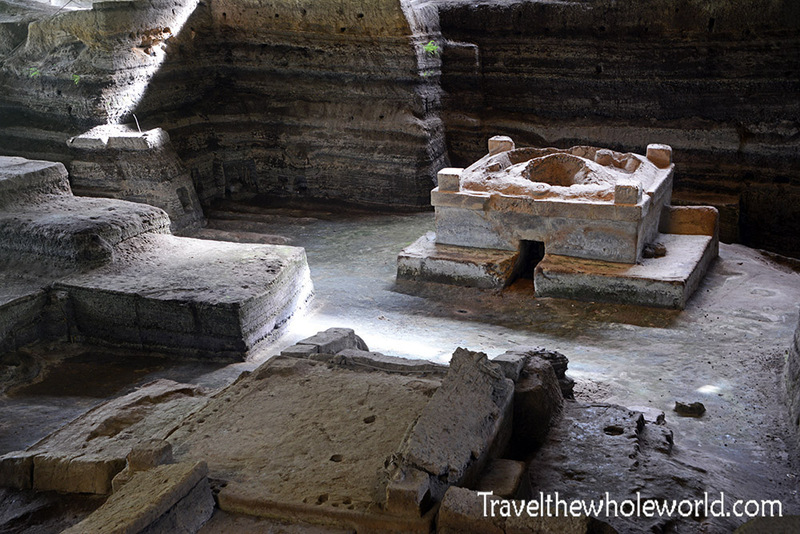 These two photos show some more structures from Joya de Ceren like the house above. The most preserved building here as well as my favorite is the Sauna above. The sauna was actually a pretty unique place, especially considering how long ago it was built. It’s heat was created by a small fire and the temperature was regulated by a small opening at the top. This photo below shows a full replica of the communal sauna. It’s built right outside the village and anyone is free to enter. The entrance is a tiny hole that requires you to get on your hands and knees. The inside opens up a bit, and it looks like you could probably seat a dozen people in there without being too crowded. No bodies were found at Joya de Ceren from the eruption, but other evidence proves the lava took the village by surprise. 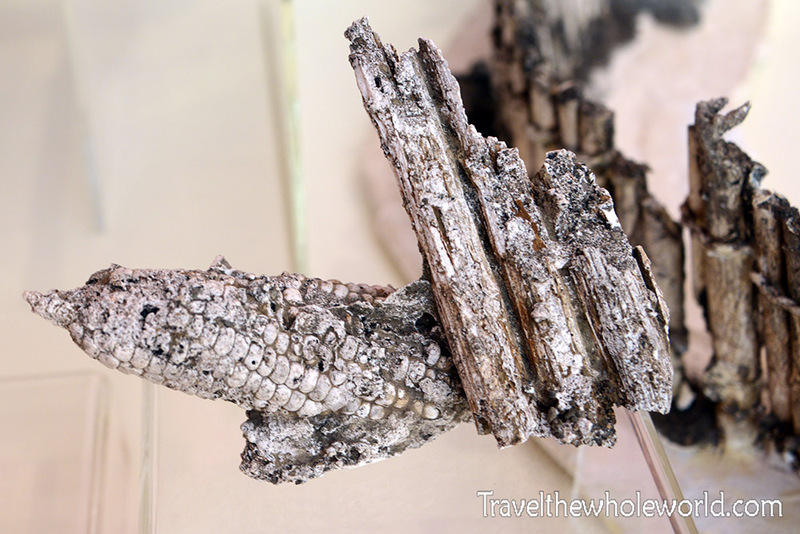 Some food items like this preserved corn above were left behind. There is even a duck that was found dead with the remains of a rope tied to it. 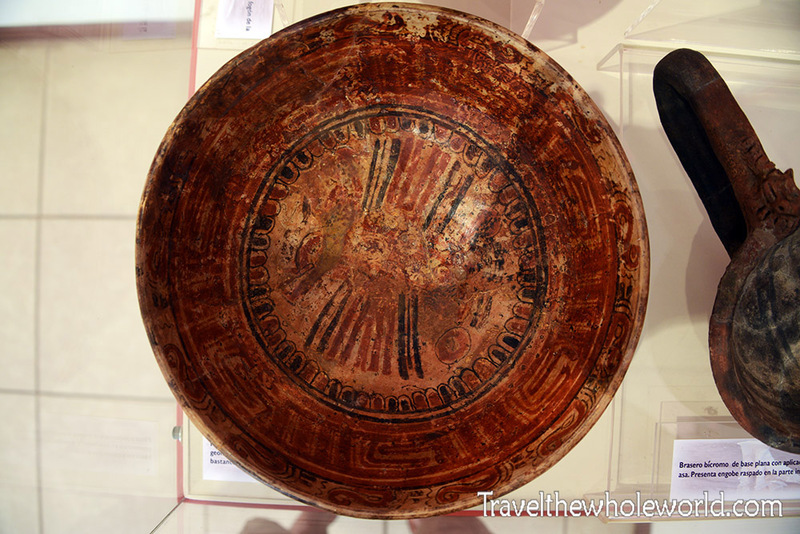 Other items like this beautiful bowl were found left behind as well. All of these items are found at the Joya de Ceren museum. 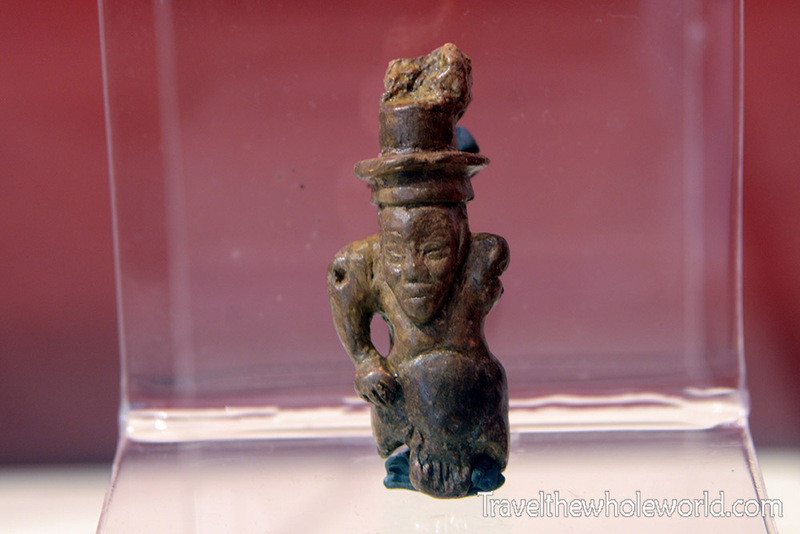 There are also a few artifacts like this tiny statue above. A local I was with pointed out why it was interesting, because the Mayans didn’t wear hats or have facial hair, even though some of the statues do. Completely unrelated to Joya de Ceren, but only miles away is another place worth visiting. 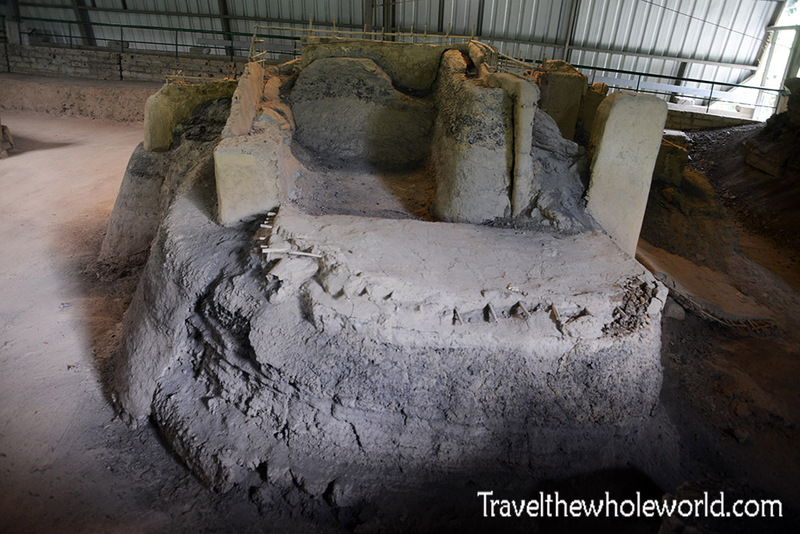 The remains of San Andrés offers some Mayan pyramids just outside of San Salvador. 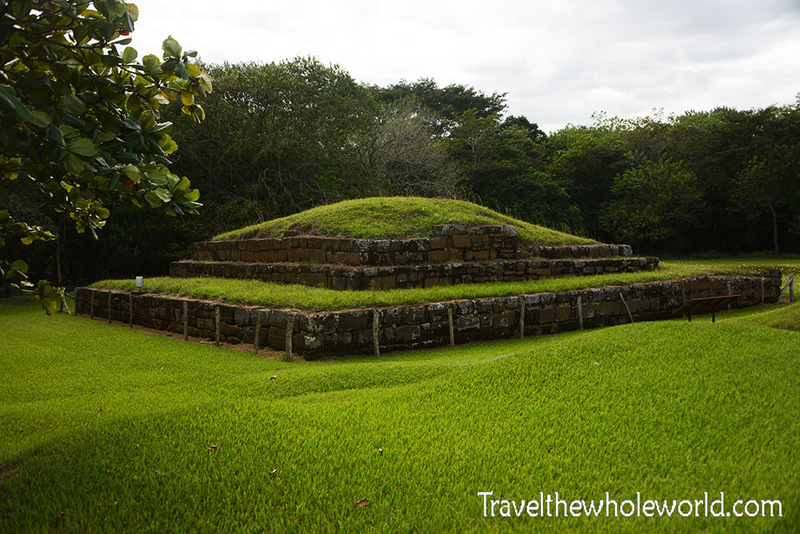 The pyramids are possibly as ancient as Joya de Ceren. I was never able to find a reliable date, but it seems they were built as early as 600CE. This pyramid above is believed to be the oldest one on site. 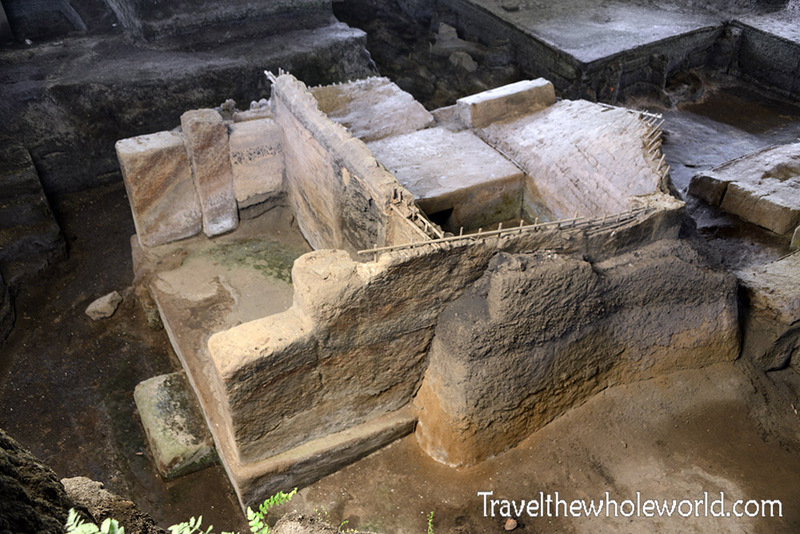 While in El Salvador I also visited the Mayan ruins of Tazumal. 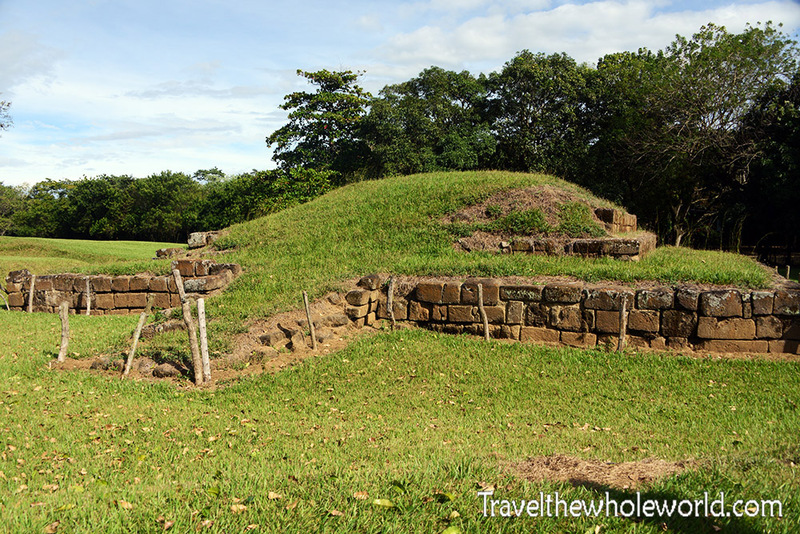 Those are considered to be the largest and most impressive Mayan pyramids in El Salvador. While San Andrés pales in comparison its still worth a visit because of its easy access. 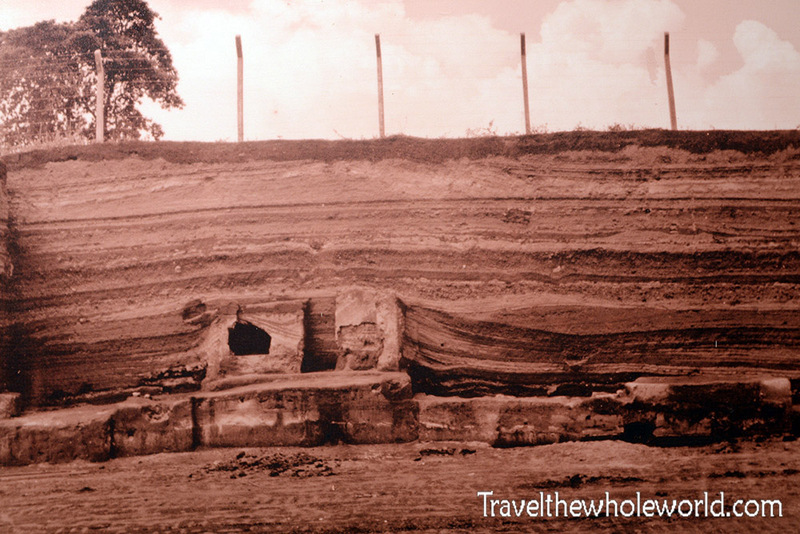 This photo above shows the remains of a second pyramid at San Andrés. My last two photos show some ancient stairs that descend underground above, and a skull that was recovered on site below. 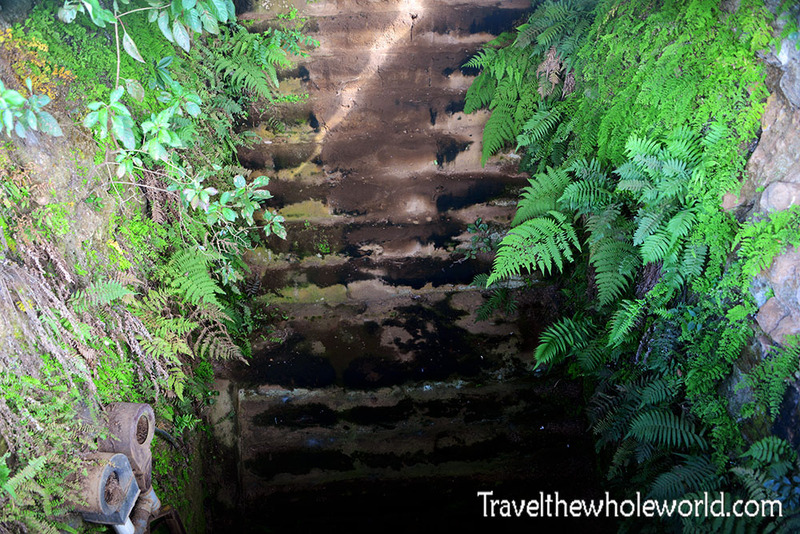 Sadly the stairs were off limits, but I would have loved to gone down and explored the area. 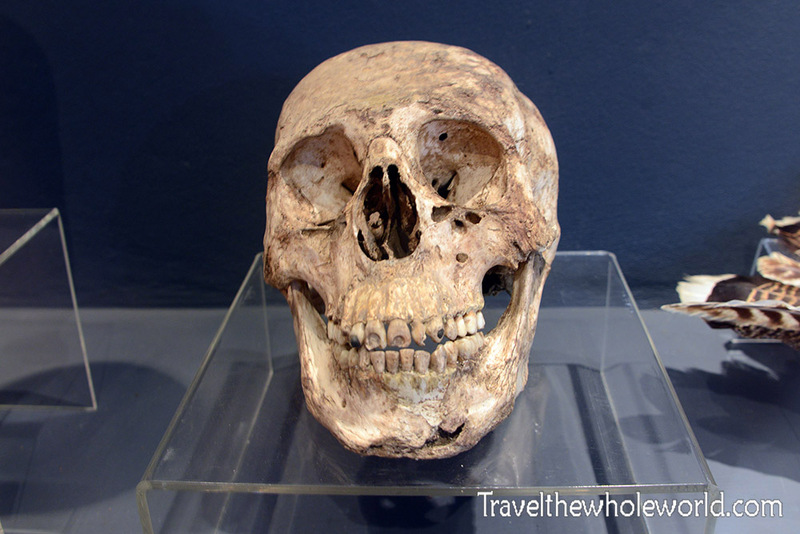 The skull was believed to be the remains of a victim that was sacrificed by the Mayans. A common practice in Mayan culture that I learned more about in San Salvador.